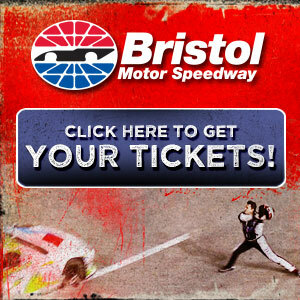 What the heck is going on at Richard Childress'? That might not be all that surprising, in the it's been obvious for some time that Harvick isn't happy. He considered moving on a few years ago, after a dismal 2009. 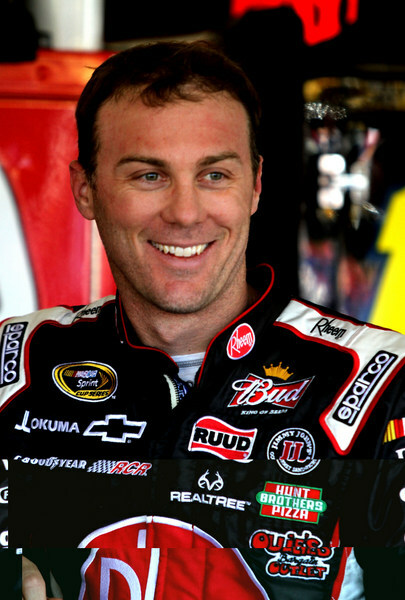 Harvick is the man Childress brought up to take his team's top ride after the death of Dale Earnhardt in 2001. The possibility that Harvick might move on -- even carrying out as a lame duck throughout the entire 2013 season -- is yet another piece to the puzzling question of what the heck is going on at Richard Childress'. This is the Richard Childress who helped lead Dale Earnhardt to six NASCAR championships and 67 tour wins over 17 seasons, and had a very good shot at four more championships. Even in their final full season together, Earnhardt and Childress were battling for the championship right down to the final moments of the season. But Childress' last championship was back in 1994. Nice to watch the grandsons Ty and Austin Dillon doing a good job in Trucks and Nationwide. And Elliott Sadler is doing a good job too. But Truck and Nationwide isn't Cup. And the Cup teams are pretty much flailing. In fact on any given Sunday Childress' three Sprint Cup teams simply aren't very relevant. The bottom line here: It's been over a year since Paul Menard won. It's been over a year since Harvick won. 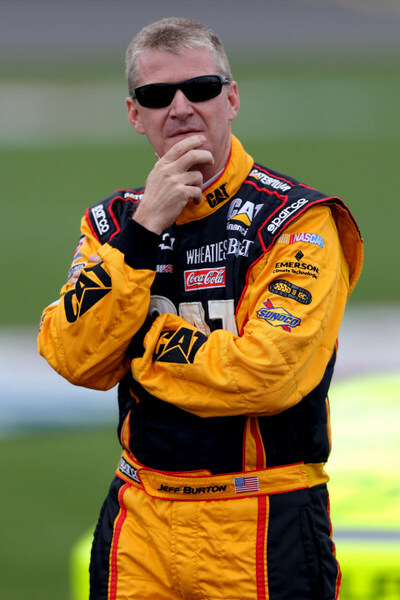 It's been four years since Jeff Burton won. Harvick, the only one of the three to make the playoffs, was a solid title contender in 2010 and 2011 with crew chief Gil Martin. 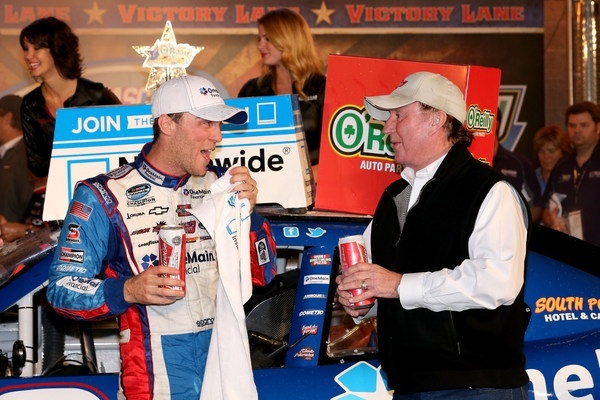 But Harvick, upset at not closing the deal last fall, told Childress to dump the whole crew. 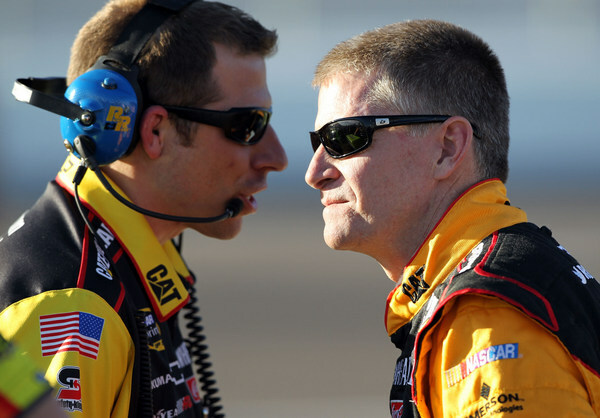 Childress put Shane Wilson in charge; Wilson was highly successful with Clint Bowyer, but Bowyer left at the end of last season, because he and Childress couldn't come to financial terms on a new contract. Bowyer has had a heck of a season with his new operation, Michael Waltrip's Toyota bunch. Bowyer, to make this point very clear, is third in the chase standings, just 36 points -- about 36 finishing positions in any one race -- behind Jimmie Johnson. And until Johnson's home run last week at Texas Bowyer was a legitimate title threat. Remember this is Michael Waltrip's long-struggling operation. 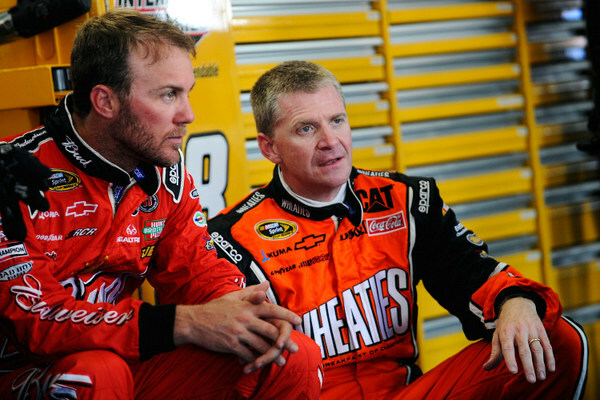 Plug in Clint Bowyer, plug in Scott Miller as competition director, and instant title contender. Miller, in another point here, left Childress at the end of last season to take the jump to Waltrip and Toyota. Harvick didn't have much success with Wilson this season, for whatever reason; so mid-season Childress put Martin back in command of Harvick's team. Still not much has really changed; Harvick averaged 12th place finishes with Wilson, Harvick is averaging 13th place finishes with Martin. 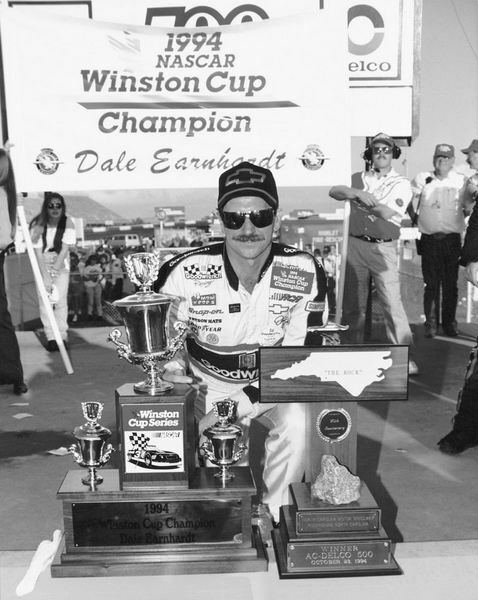 With Earnhardt, Childress averaged four wins a season. In the 12 seasons since Earnhardt's death, Childress has 31 tour wins, an average of 2.5 wins a season. Since Earnhardt's death Childress' best championship finishes have been thirds: Clint Bowyer in 2007, Harvick in 2010 and again in 2011. However as promising as 2011 appeared for the Childress guys, 2012 has been all the more surprising as such a downer. And executives with sponsor Budweiser might be less than enthusiastic about things while watching arch-rival Miller on the verge of winning the championship. But then Budweiser has cut back its sponsorship to just a partial deal. Harvick isn't saying much about it all. Childress isn't either, calling the issue 'bull' until it's either confirmed by Stewart or Harvick. "When we have something to tell you, we'll tell you," Stewart said curtly. However whatever Harvick does at the end of his current contract is only part of this story. 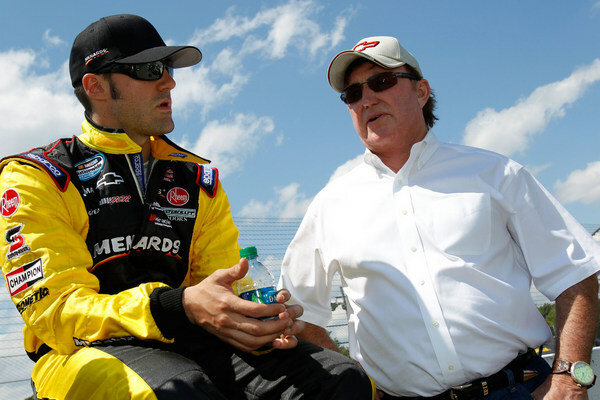 The real story is what the heck is going on at Richard Childress'? The Harvick-Stewart story follows by just a week confirmation that Childress will be losing the Chip Ganassi-Juan Pablo Montoya-Jamie McMurray engine leasing contract at the end of the season. That would be of course a considerably loss of income. Ganassi is moving to the Hendrick Motorsports engine leasing program. Burton too is in the midst of a major change, bringing back Luke Lambert as crew chief for 2013, with Drew Blickensderfer leaving the company to return to Ford as crew chief for Marcos Ambrose, taking over for Mike Forde. Blickensderfer just made the switch, and Shane Wilson is currently running Burton's team. "We certainly haven't had the success we wanted to have this year," Burton says of the Childress operation. "There are a lot of things going on. I really thought last year we were changing the way things were working in the company, and that we were headed in the direction we needed to go in. But that didn't materialize the way we all thought it would. "It's not that people weren't trying; but we put some people in positions they weren't comfortable with. "So we had to stop and say 'This isn't working.' And some of the people came and said 'I'm not comfortable....'"
The major change so far has been Childress hiring Eric Warren to take over as competition director. "I'm very, very excited about Eric Warren coming in," Burton went on. "I've worked with Eric really closely the last several weeks. "I feel really good about the direction we're headed." The Wilson-Blickensderfer-Lambert swap was rather unexpected, adding yet more questions to the issue of who's really in charge of this whole operation. "Drew did a really good job...but it wasn't necessarily the situation he thought he was walking into," Burton says. "He put a lot of effort and energy into it. But the way our company works, it just didn't suit his style. "Drew will be a really successful crew chief. But like anyone, he has to be in a situation that's good for him. "Luke needed a year of experience in Nationwide with Elliott. And when this opportunity became available, we felt Luke was the guy. I like Luke a lot; I've worked with Luke for about five years. I have a lot of confidence in Luke. He's the right man for the job; he and Eric have a good relationship, and that's important." But isn't all this moving and shuffling just putting the Childress operation back pretty much to where it was one year ago? Burton concedes it may look like that. "In some ways it looks like we're going back to what we had...and we are in some regards," Burton says. "But we are truly moving the ball a great deal. "This is the first time Richard has really turned the ball loose. Richard is more than capable, he just doesn't have enough time. "Richard being the hands-on owner he is, he's reluctant to turn loose the keys. I don't blame him. But he has a lot of confidence Eric can do it. We all do. "We obviously have flaws we need to fix. I'm confident they'll be fixed. "But it's not a one-man problem, so Eric isn't going to come in and wave a magic wand. It's a philosophy problem, and he can do that. "But the crew chiefs have to buy in, the drivers have to buy in....and there are people at RCR today that this new philosophy won't fit. Whether it's a driver or whoever, if they don't want to be part of the way that Eric is going to move this company, then you're going to need to go somewhere else. I'm not being ugly when I say that, because not every company is right for everybody. "It's going to be a new way of doing things, it really is. Some people won't like that." Harvick perhaps? Not all that clear. But Harvick turns 37 in a few days, and he's anxious to contend for a championship, and the Childress camp has gone through a number of changes the past few years, and yet still has a hard time matching up against the Hendrick juggernaut. Maybe technology is the real issue here. Is the Childress camp up to date? Does it have enough speed? Does it have all the trick parts? "If you have a process, you have a 'trick' piece," Burton replies. "We get caught up in 'what trick piece are people beating us with?' When we should rather have other people worrying about how we're beating them. "We've got to have somebody thinking six months ahead 12 months ahead. "We went through a period early in the year where we had really good power. Then we went through a period in which we diminished a little. Over the last several I feel every driver feels the power is good. "We have enough power to win races. "As a company we are off in a lot of areas; we don't have just one glaring issue. "Richard and I have talked about it, and the bottom line is when you're running bad these things are going to come up. "We just haven't had the right formula to be as successful as we need to be. So we're changing it."